Tyckte det kunde vara lika bra att starta en ny tråd, när vi nu (förhoppningsvis) vet namnet. We are expecting the official announcement of Bob Dylan's new studio album on Monday (16 March) when, presumably, all will be revealed. Meanwhile, we thought it might be useful to draw together what we have heard to date and to see what gets confirmed and what turns out to be wrong..
> There are ten tracks on the album, of which nine song titles are known: Beyond Here Lies Nothing; Life Is Hard; My Wife's Hometown; Forgetful Heart; Shake Shake Mama; I Feel A Change Comin' On; If You Ever Go To Houston; This Dream of You; and It's All Good. > A promotional video is expected to go with the new release, though no details have been forthcoming. You may care to check our speculation in the final paragraph of "Additional Information About The New Album", below. > The musicians on the album include, David Hidalgo (Los Lobos) on accordion and possibly Mike Campbell and Benmont Tench (Heartbreakers) on guitar and keyboards. These musicians join the core of Dylan's current touring band. > An extra London concert, possibly in North London on Sunday, 26 April, is expected to be announced soon, too, and this concert is believed to be linked to the release of the new album. ISIS will be accepting advanced orders for the new album soon. edit: uppdaterade infon om omslaget. Klart vi ska ha en tråd för Bobs nya platta. Tack Anders! Spännande är det minsta man kan säga. Jag måste säga att jag gillar det lite oväntade fotot av paret på framsidan till albumet! Bådar gott tillsammans med det Chess-inspirerade soundet. "I already did Auntie. You’re just not listening to the right stations." The new record’s very different from Modern Times which was a number one hit. It seems like every time you have a big hit, the next time out you change things around. Why don’t you try to milk it a little bit? I think we milked it all we could on that last record and then some. We squeezed the cow dry. All the Modern Times songs were written and performed in the widest range possible so they had a little bit of everything. These new songs have more of a romantic edge. There didn’t seem to be any general consensus among my listeners. Some people preferred my first period songs. Some, the second. Some, the Christian period. Some, the post Colombian. Some, the Pre-Raphaelite. Some people prefer my songs from the nineties. I see that my audience now doesn’t particular care what period the songs are from. They feel style and substance in a more visceral way and let it go at that. Images don’t hang anybody up. Like if there’s an astrologer with a criminal record in one of my songs it’s not going to make anybody wonder if the human race is doomed. Images are taken at face value and it kind of freed me up. Länk till fotografen Bruce Davidsons hemsida där bilden finns med under "Brooklyn Gang". Ja, det här var fanimig den roligaste intervju jag läst med Bob på decennier. Hahaha! Härligt! Mera!!!!! Absolut. Och öht är bilderna på Bruce Davidsons hemsida väldigt, väldigt bra. "These new songs have more of a romantic edge." "Romance. It's got a dead end." Själv är jag väl så romantisk som man kan bli, antar jag, men begreppet är rätt intressant ju. Romantik? Används mycket inom konsten dessutom, som genrebeskrivning. Undrar vad Bob menar när han använder det ordet. Julius and Ethel, Julius and Ethel." I suspect that a lot of men will identify with MY WIFE’S HOME TOWN. Do you ever get in hot water with your in-laws over your songs? No not really. The only person it could matter to gets a kick out of it. That song is meant as a compliment anyhow. 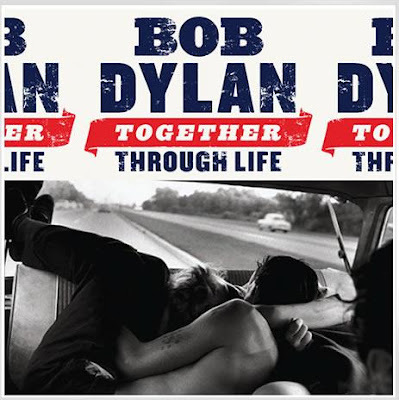 På http://www.bobdylan.com/#/ finns nu möjlightene att "Join the mailing list and be the first to hear music of the new record"
Jag antar att blir nåt i stil med TTS i somras, där man hade möjligheten att lyssna på ett par låtar innan släppdatum. Bruce Davidson’s 1959 project Brooklyn Gang is an intimate photographic study of a rebellious Brooklyn teenage gang, who called themselves The Jokers. Davidson was able to document their candid manifestations of worry, energy, enthusiasm, anger, and occasional sadness. The gang seemed to exist in their own secluded world, meandering from Coney Island to diners and taxicabs, anxiously moving forward with an unknown future and unknown goals. Some of them were even thoroughly troubled: one member died from a heroin overdose a few years after Davidson left them. Not only is Davidson’s work a sincere portrayal of troubled teenagers coming of age, but it also acts as a documentation of teenage life during 1950s, exposing the emotional climate of that time period and exposing the dark side of a supposedly innocent time period.